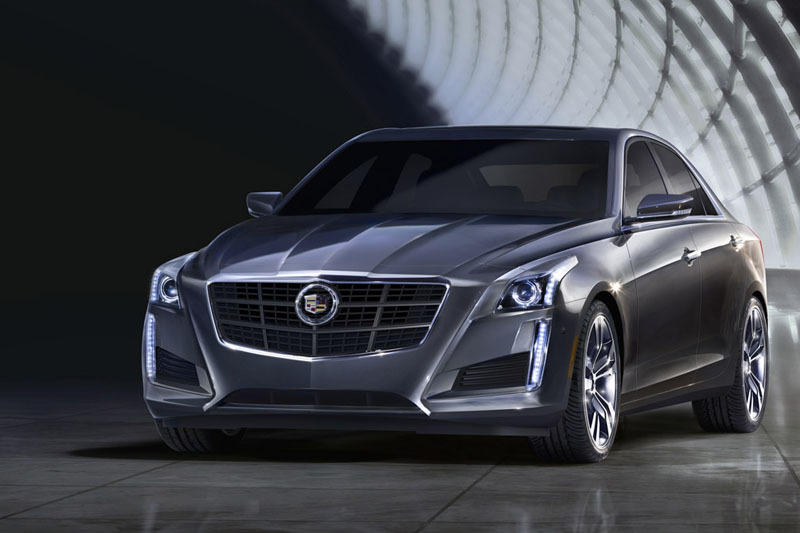 Joining the list of impressive new machines unveiled at the New York Auto Show last week is the 2014 Cadillac CTS sedan. 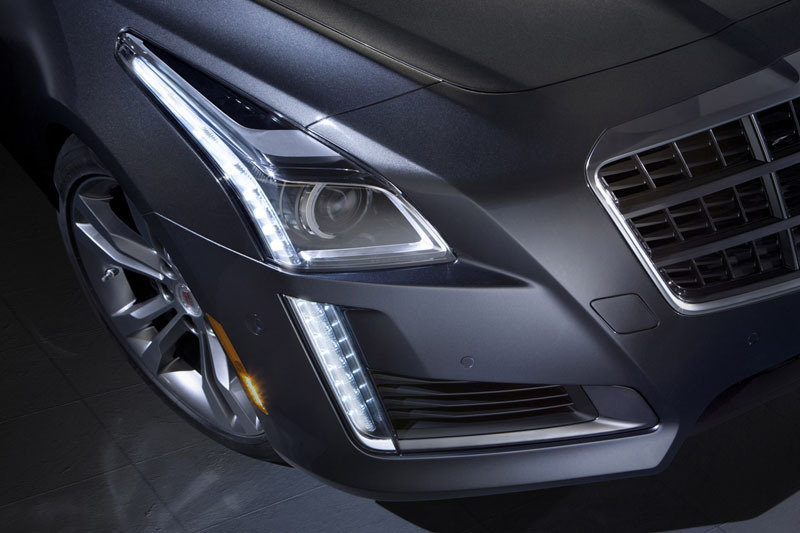 From the get-go the CTS was designed to rival sport sedans from Europe and Japan, and the new third generation car could be the best of its breed yet. 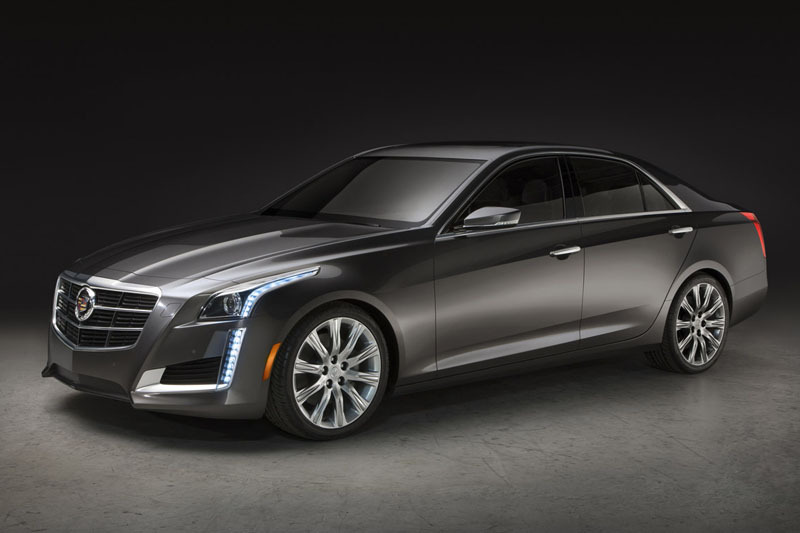 The styling for the new CTS draws from Cadillac’s 2011 Ciel Concept, but it also shares many design traits with the smaller Cadillac ATS. 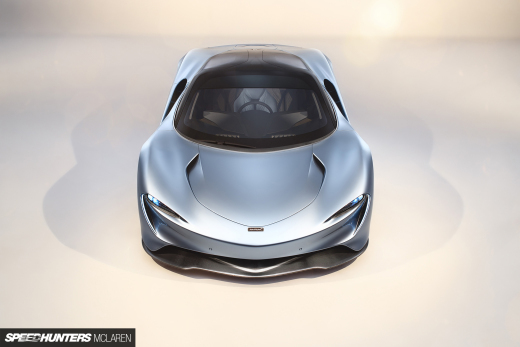 While both the wheelbase and overall length of the car have grown, it weighs less than the previous model, and GM says it’s 200 pounds (90kg) lighter than the BMW 528i. 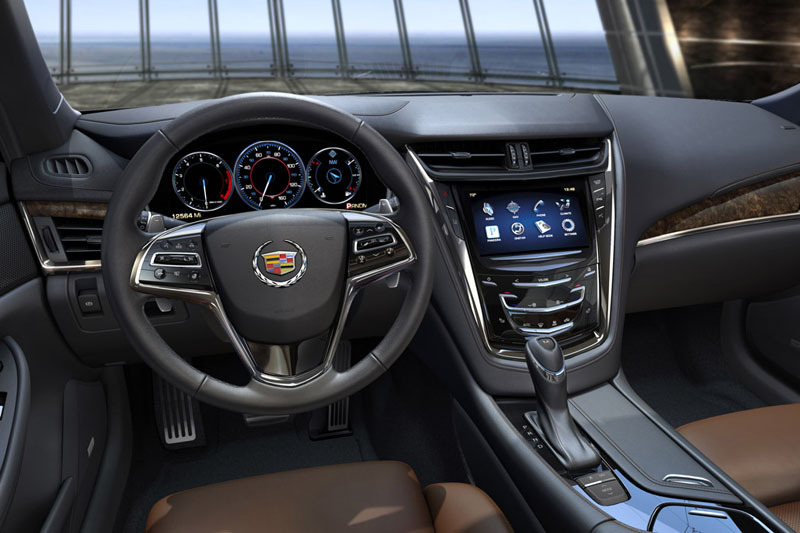 The interior treatment on the new CTS is also representative of how far GM’s interior design and material quality has come in recent years. The days of cheap, sub par cockpits seem to be a thing of the past. 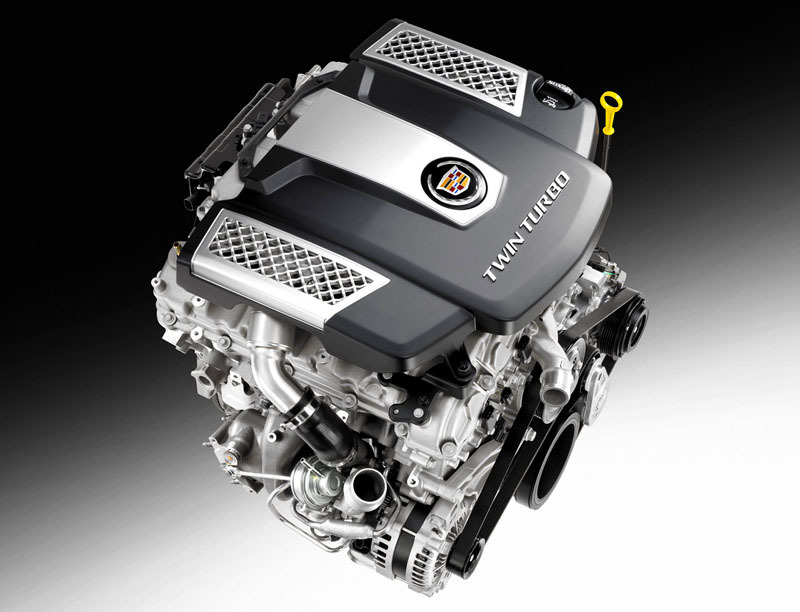 However, the biggest story is under the hood where the 2014 CTS will be offered with three different engine options. 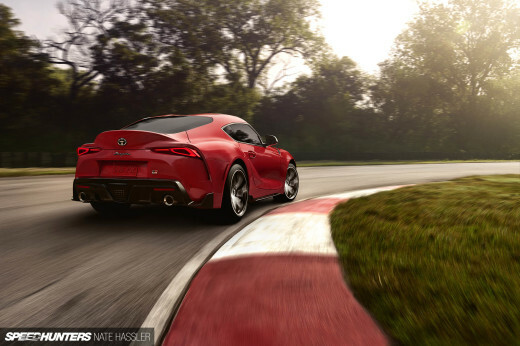 The base motor is 2.0 liter four-cylinder turbo making 272 horsepower (203kW), while the mid-grade engine is a 321 horsepower (239kW) naturally aspirated 3.6 liter V6. 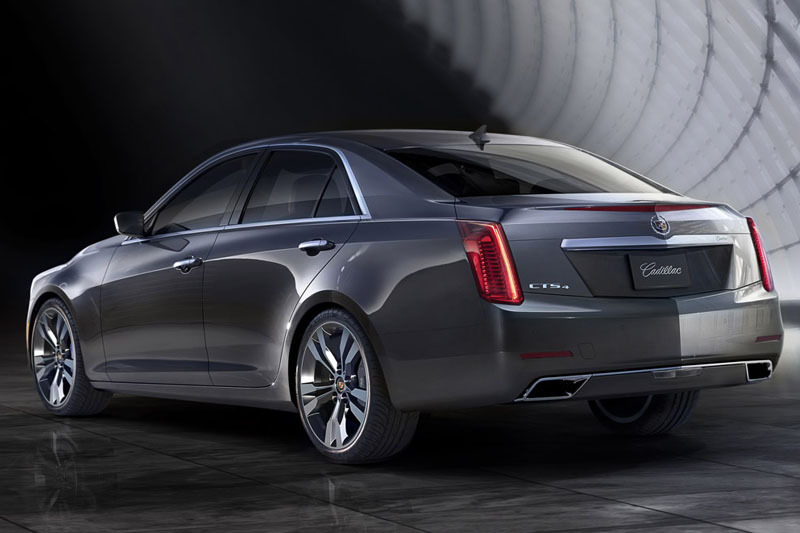 Topping the line in the new CTS VSport model is an all-new twin turbocharged 3.6 V6. The twin turbo V6 will make 420 horsepower (313kW) and 430 foot pounds (583Nm) of torque mated to a new eight-speed automatic transmission. In real world numbers Cadillac says the CTS VSport will hit 60 miles per hour in 4.6 seconds. The VSport also comes equipped with Brembo brakes, high performance tires, a limited slip diff, and more. Of course the VSport isn’t to be confused with the CTS-V, which should be coming along later with some sort of mad V8 under the hood. But for the ‘standard’ CTS, which is set to go on sale later this year, this is looking very good. MattAtDoyle What the hell are you talking about?